With the first unwieldy chunk of the 2000s drawing to a close, it seems fitting (and trendy) to whip up a tight �Best of the Decade� list, to somehow fit a cap on a very eclectic 10 years of unrelenting filmgoing. It would be simple, perhaps expected, to carelessly mash together sections of various best-of lists from throughout the years, forming a lifeless pile of titles once and forever loved to define a decade now known more for its losses than its gains. However, I wanted to offer something that represents the exceptional features that have retained incredible lasting power -- films that still manage to course through my system through both fond memories and repeated viewings. The normal critical urges are relaxed here, with an eye toward titles that still rock the casbah while everything else has faded ever so quietly into the wall of white noise. Writer/director/nightmare man Rob Zombie has taken his fair share of hits from critics and audiences for his flamboyant horror film architecture. He�s a kooky guy and his films leisurely exhale in a manner that immediately triggers a love-it-or-hate-it response. While I�ve delighted in Zombie�s work thus far, �The Devil�s Rejects� was admittedly his masterstroke. It�s a film so utterly Zombified it should require goggles, a Skynyrd 8-track tape, and tattered overalls to fully value. More of a brutal road trip picture, the feature is pure blood-spattered intensity, highlighting unspeakable acts of violence, interrupted only by Zombie�s southern-fried dialogue peculiarities and hostile characterizations. It�s legitimately bonkers. Unlike his work futilely speed-bagging the �Halloween� movies, �Rejects� is pure, unfiltered Zombie; it�s the one film of his to fully bear hug his propensity for the macabre and the unshowered, molded into a thrilling piece of redneck torment. The fickle and the fanboys have grown to resent you, Mr. Zombie, but we�ll always have Captain Spaulding and Tutti fu**in� Frutti. 2000�s �X-Men� is a terrific motion picture, but it wobbles often uncontrollably on stilts of impossible expectation. The sequel, �X2: X-Men United,� is an extreme display of genre and directorial confidence, with filmmaker Bryan Singer pulling off a rare feat and learning from the mistakes of the original picture. Ambitious, appropriately budgeted, and brilliantly supervising a sprawling cast of heroes and villains (a few of them blue), �X2� reached for the brass ring of superhero storytelling flexibility, looking to establish the �X-Men� saga as a franchise that could go on for decades, comfortably adding and removing characters to suit new adventures. It was crippling to watch Singer�s magic touch rudely scraped away on future sequels and prequels, but for this brief shining moment, the �X-Men� universe held perfect pitch, and funny book movies had a new standard of execution to live up to. 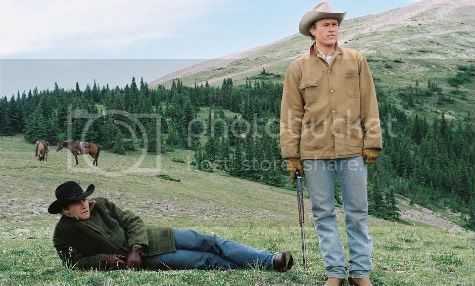 Remember a time when �Brokeback Mountain� was the most feared movie around? Where it was crudely dismissed as the �gay cowboy movie� by big media types looking to somehow reduce its coming impact? And then the film arrived, revealing itself to be a shattering, thoughtful observance of love and all of its pitiless demands. The brouhaha has evaporated now, leaving a gorgeously layered tale of longing and catastrophic conformity behind, set against idyllic western landscapes and dreamy, autumnal skies. Director Ang Lee manages the emotional anguish with frightening exactitude, smoothly working through wrenching scenes of denial and desire, brought to vivid life through elegant, internalized performances from Jake Gyllenhaal and, of course, the late Heath Ledger. �Brokeback Mountain� will surely stand the test of time due to its cultural timing, but I hope the film will be forever treasured as a searing statement of tragic, forbidden devotion. 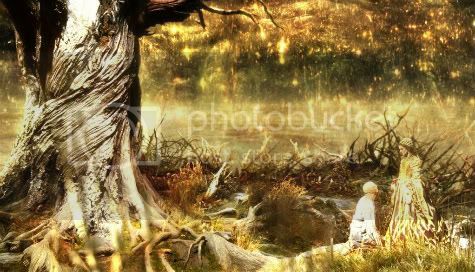 As an ambitious ode to the miracle of death, Darren Aronofsky�s �The Fountain� is a challenging, meditative feature film that invites the viewer to squirm into suffocating psychological spaces. Three diverse narratives woven together by grief and thanatophobic ambition, the picture is a surreal adventure of the mind, brimming with profound thematic deliberation and flawless performances (from Hugh Jackman and Rachel Weisz), captured by the filmmaker with exceptional, innovative special effects and a steel-bending concentration on the mysteries of the afterlife. �The Fountain� is exhaustive and demanding, yet addresses a subject of mortality vital to the human experience, executed with a heart-smashing vibration of sorrow that�s never short of hypnotic. Please click here for Part 2! Please click here for Part 3! Please click here for Part 4! Please click here for Part 5!